I've been reading so many great books recently, that I've decided to start reviewing them on Thursdays. Reviews are personal; fell free to jump in with comments that disagree. This book is available in MPH, Times, Popular, Kino and other bookshops in Malaysia. I hear it is available in the UK. It is also listed on Amazon.co.uk. I don’t know anybody so in case you’re oblivious to the social pages too, you should know that Norman Musa is a Malaysian chef at the Ning Restaurant in Manchester, UK. He was nominated Manchester's Chef of the Year 2009, and he was also made chef to the Malaysian-owned Lotus Racing team. Norman has now written his own cookbook, Malaysian Food. First thing: it’s pretty! The paper is thick and glossy. The pictures are stunning. It’s one of those books you can just sit and touch and be happy about. Second thing: the book assumes you don’t know that much about Malaysian cooking. Presumably that’s because the author works in the UK, but it also means it’s really handy for those locals who’ve been brought up by mummy and the maid and whose idea of haute cuisine is Maggie Mee Instant Noodles. The recipes are easy to follow and comprehensive. It's one of the few Malaysian cookbooks I've seen that tells you exactly how to pre-soak your fresh noodles and other stuff many cooks think everybody already knows and that most people don't. Also, each recipe has a little intro, some of which are family tales, and others that are filled with useful tips such as adding carrots and green beans to the Stir Fried Turmeric Prawns for colour. 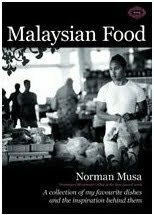 Norman Musa also peppers the book with anecdotes and pictures of wet markets, pasar malams, and other icons of daily life in Malaysia. In short, every cook will love this book. It’s also a great gift for people who want to learn to cook, for people who are leaving Malaysia, and for people you want to introduce to Malaysia. My only criticism: the recipes advocate too much sugar! I know it’s commonplace to drown everything from curry to satey in sugar in Malaysia but I favour a more oldfashioned (or maybe Indonesian?) style that’s less sweet. I’m going to use this book for years, but for me it’s kurang gula! 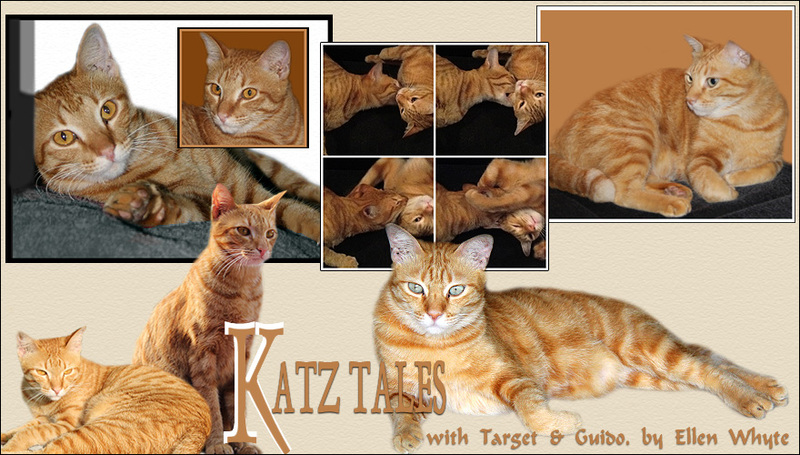 If you want your book reviewed, email me at katztales AT lepak.com, OK? Of course this book isn't available in the US, but it sounds good. I don't know anything about Malaysian food so it sounds like it would be the type of book I would need. Loved your review! I have friends in the USA and Canada who have just discovered Malaysian restaurants in their area and WOWEEE is it overpriced or what?!?! This cookbook would make a great gift if they'd like to try the recipes out at home and surprise their family members and dinner guests. Thanks so much for stopping by and wishing me a Happy Birthday! I fowarded this post to my mom...I don't have time to cook much, but she does, lol. Sounds lovely!